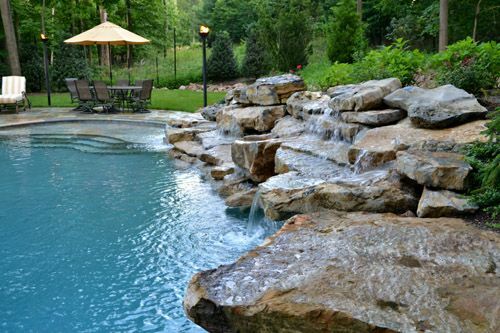 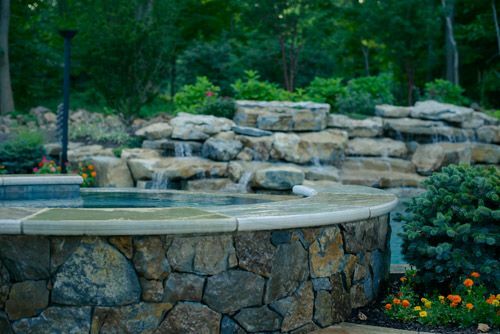 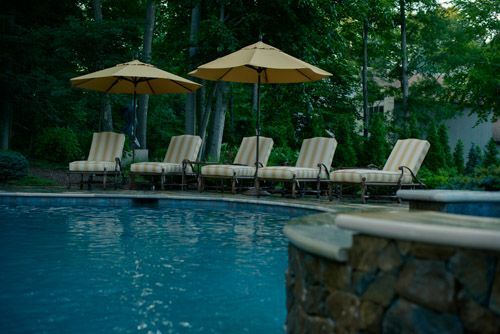 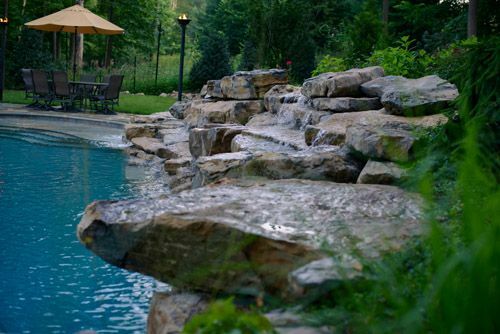 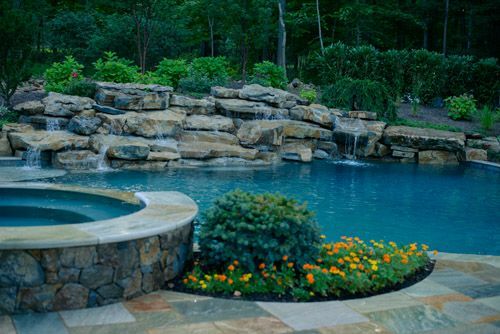 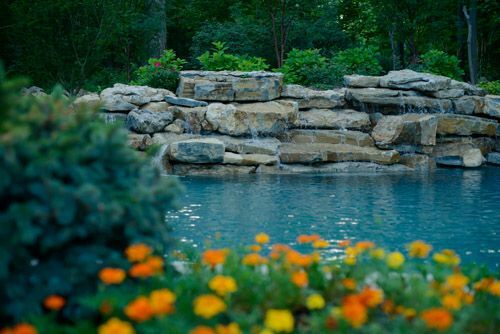 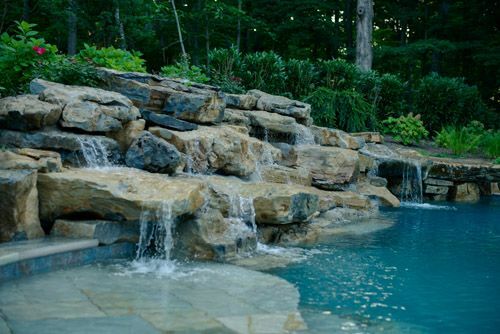 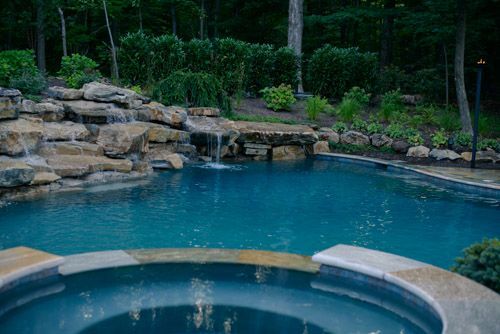 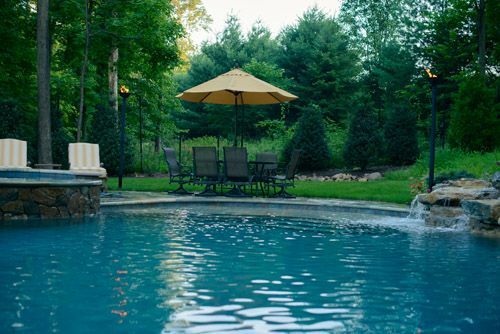 A custom rustic swimming pool design, set into its natural surroundings and built with all natural boulders. 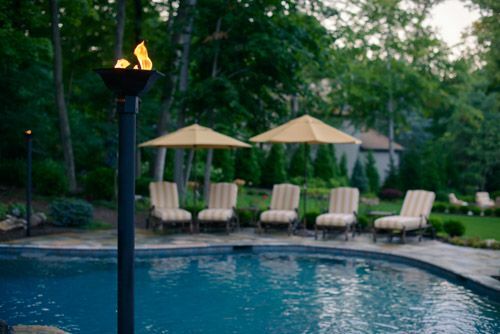 A large sundeck, built in spa and fire elements complete this tranquil backyard. 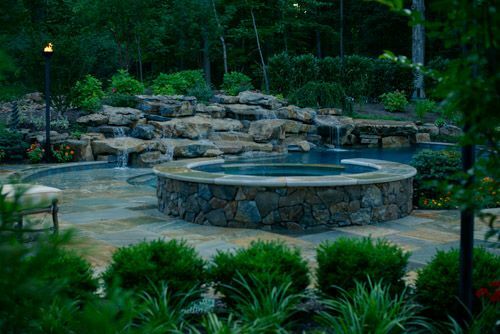 This pool and spa was designed with the intention to make it appear as its own room, within a natural setting. 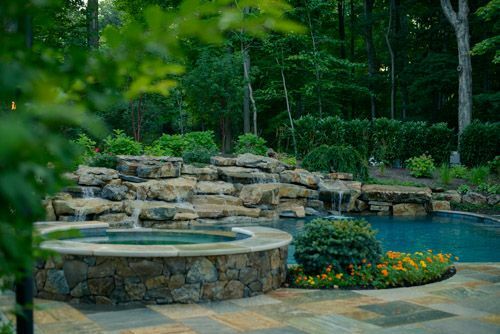 The pool was built far back on the property into the existing woods area and served as a water feature to the entire landscape. 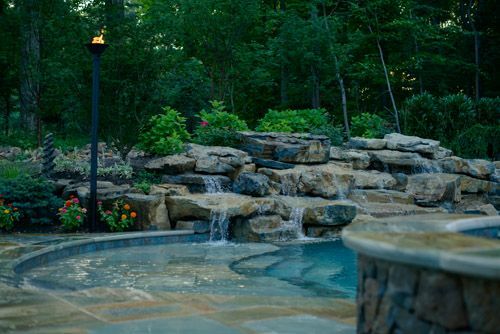 We were careful to work within preserving the trees surrounding the wooded area of the lawn.